The next PC meeting is to be held on Wednesday 6th February at 8pm in Bluntisham Village Hall. The draft minutes from the parish council meeting held on Wednesday 4th July can now be viewed. Anyone interested in becoming a parish councillor please contact the clerk. Any questions regarding anything in the minutes please contact the clerk. The date of the next full council meeting is Wednesday 4th July. The agenda for the next parish council meeting has now been published. All welcome to the meeting. 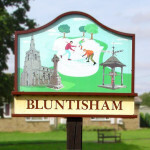 The Annual Parish Meeting is being held on Monday 14th May in Bluntisham Village Hall. The meeting starts at 8pm. All welcome for an opportunity to meet your parish council in a more informal setting and to hear the accounts from the parish charities.